Deborah Cox possesses one of the most powerful and versatile contemporary voices of our time. The Grammy Award nominated, multi-platinum R & B/Pop recording artist and actress recently blew the roof off theatres as she starred in the Rachel Maron role originally played by Whitney Houston in the new musical “The Bodyguard”. She made her Broadway debut in the leading role in Elton John and Time Rice’s musical “Aida”, receiving rave reviews. In 2013, she yet again demonstrated her wide range through her emotional portrayal of Lucy in the revival of hit Broadway musical “Jekyll & Hyde”. In 2016 Deborah starred as the legendary Josephine Baker in the original musical “Josephine” at the Asolo Repertory Theatre. Sandals Resorts is a Jamaican operator of all-inclusive resorts for couples in the Caribbean and part of Sandals Resorts International, parent company of Sandals Resorts, Beaches Resorts, Grand Pineapple Beach Resorts, Fowl Cay Resort and several private villas. The Honourable Justice Gregory Regis was appointed a judge of the Ontario Court of Justice in January 1999. He was born and grew up in the fishing village of Dennery, on the east coast of Saint Lucia. In 2004, he was appointed Local Administrative Judge (LAJ) in Oshawa. In 2007, he was appointed Regional Senior Justice (RSJ) for the Central East Region, becoming the first non-white person to hold that office. Regional Senior Judges exercise the powers of the Chief Justice in their regions. They also serve on the Executive Council of the Court. He served in that office for the maximum allowable two terms (six years). He retired in 2014, but continues to serve as a part-time judge. In February 2017, he was appointed Distinguished Visiting Professor at Ryerson University. Justice Regis has anchored his judicial career around the issue of access to justice. He has conducted seminars and workshops for judicial officers, and other participants in the court system, on the subject of illiteracy and the justice system. His thesis is that illiteracy or low literacy is a barrier to full participation in the justice system. He submits that all participants in the system must be alert to the issue, and actively take measures to assist anyone who has that problem. In 2004, he presented a paper titled Literacy and Access to Justice in Canada at the Third International Conference of the Council of Administrative Tribunals (CCAT) in Toronto. Before becoming a judge, his legal career included one year in private practice, four years as Executive Director of the Jane Finch Legal Aid Clinic, and eight years as an Assistant Crown Attorney. Justice Regis has had a varied work and community experience. He started his formal working life as a primary school teacher in Saint Lucia. He later worked as a laboratory technician and as a journalist. His journalism career included positions as photo journalist at The Voice Newspaper (Saint Lucia’s National newspaper) , News Editor at Radio Saint Lucia and correspondent in Saint Lucia for several Caribbean and International news organizations, including The Associated Press (AP), Trinidad Express Newspaper, Radio Guardian (Trinidad and Tobago) and Radio Antilles. In Canada, he worked as an editor for CBC TV before entering law school. While studying law, he held a regular part-tine position in the CBC national radio newsroom in Toronto as an editor and producer. Theatre In the Rough; Saint Lucia Toronto Association; Canadian Centre on Minority Affairs (CCMA); Multicultural Council of Oshawa/Durham. Justice Regis holds a Bachelor of Laws degree (LL.B) from Osgoode Hall Law School and a Bachelor of Applied Arts degree (B.A.A.) in Journalism from Ryerson University. He is a member of the Association of Ontario Judges (AOJ), the Canadian Association of Provincial Court Judges (CAPCJ) and the Osgoode Society for Canadian Legal History. He is the recipient of the Queen’s Golden Jubilee Medal, the Saint Lucia Governor General’s Award, the BBPA’s Harry Jerome Lifetime Achievement Award, the Ontario Medal for Community Service and the African Canadian Achievement Award for Law. Dr. Juliet Daniel is a Professor and Cancer Biologist in the Department of Biology at McMaster University. She received her B.Sc. from Queen’s University and her Ph.D. from the University of British Columbia. Dr. Daniel trained as a Postdoctoral Fellow at St. Jude Children’s Research Hospital and Vanderbilt University in Tennessee before joining McMaster in 1999 as an Assistant Professor. Dr. Daniel’s research expertise is cell-cell adhesion and signaling through transcription factors in the context of cancer development and progression. 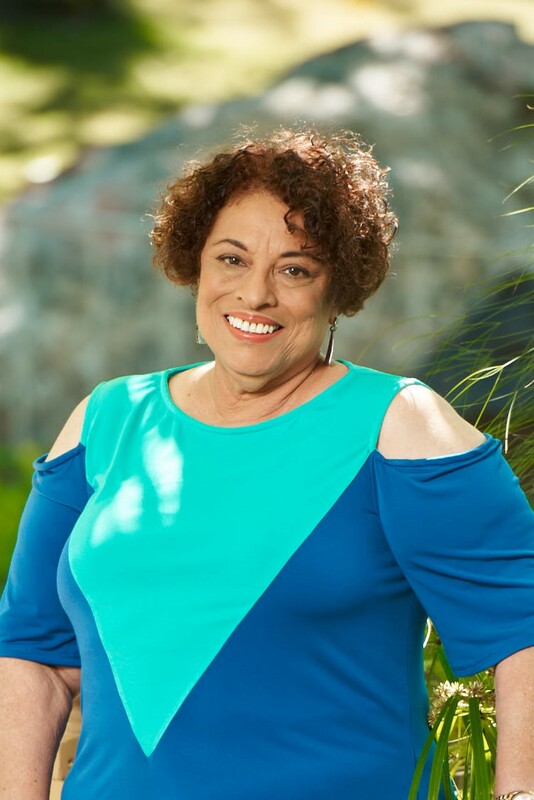 Her research led to her discovery and naming of a new gene “Kaiso”, coined after the popular Caribbean music “calypso”. Dr. Daniel’s research team is currently focused on the aggressive and difficult to treat triple negative breast cancers (TNBC) that are most prevalent in Hispanic women and young women of African ancestry despite these groups having a lower incidence and lifetime risk of breast cancer compared to other ethnicities. Since socio- economic status does not fully explain the racial disparity in TNBC prevalence and mortality, Dr. Daniel seeks to identify unique DNA mutations or markers on cells that may explain this racial disparity and which can be developed for diagnostic tests or therapeutics for women diagnosed with TNBC worldwide. Dr. Daniel also partners with The Olive Branch of Hope Cancer Support Service in Toronto to organize and host “Think Beyond ‘Love Pink’ Breast Cancer Awareness” and empowerment workshops for women of African Ancestry. Dr. Daniel has published in several high caliber scientific journals and her research has been funded by national (CIHR, NSERC, CBCF), and international agencies (US CDMRP Breast Cancer IDEA Awards). Her extraordinary scientific achievements led to numerous prestigious awards including the Ontario Premier’s Research Excellence Award, the Hamilton Black History Month John C. Holland Professional Achievement Award, the African Canadian Achievement Award of Excellence in Science, the Barbados National Honor Gold Crown of Merit, a Hamilton YWCA Women of Distinction Award, a BBPA Harry Jerome Award and more recently a 100 Accomplished Black Canadian (ABC) Women Award. She has also been featured in “Millenium Minds: 100 Black Canadians”. Over the years, Dr. Daniel has volunteered for several non-profit and charitable organizations including The Canadian Multicultural LEAD Organization, The ACCPI Scholarships Committee, and the National Let’s Talk Science Program. She is a committed mentor and role model for numerous students and youth of African-Caribbean ancestry and she is also a strong advocate for women and under-represented minorities in science and engineering. In 2006, Mohamad Fakih purchased a nearly bankrupt restaurant and transformed it into, what is now known as the fastest growing Middle Eastern Halal restaurant chain in North America – Paramount Fine Foods. Mohamad’s determination to change perceptions surrounding Middle Eastern food has driven Paramount’s brand success across Canada and internationally as well as advancing the global Middle Eastern food trend. A community leader, Mohamad regularly participates in fundraisers and community events, supporting multiple causes and organizations including the Canadian Cancer Society, Islamic Relief worldwide, Sick Kids Hospital and the Make a Wish Foundation in Toronto. Both Paramount and Mohamad have donated generously to these charities and other non-profit organizations. Across his restaurants Mohamad offers discounts to all Emergency Service Workers in uniform to show appreciation for their service in our communities. This past year after the Canadian government decided to welcome 25,000 Syrian Refugees, Mohamad made headlines in Canadian News when he travelled to Lebanon to visit the Islamic Relief Camps for Syrian Refugees to gain a deeper understanding of current relief efforts. Hoping to lead by example, Mohamad partnered with Ryerson University, Toronto for the Lifeline Syrian Challenge – allowing Paramount Fine Foods to fund employment support counsel to help recruit new Syrian Canadians during their job search. Mohamad also committed to providing up to 100 jobs for the newcomers in his restaurants in 2017. Mohamad’s determination to uphold values of giving back to communities where Paramount restaurants are located has resulted in a workplace culture of giving to others and to supporting one another. He has made philanthropy and giving back a key part of Paramount’s culture and identity, setting it apart from other restaurants and businesses globally. Mohamad has been featured in a number of leading media outlets across Canada including CBC and CP 24 Television, Toronto Star, Globe and Mail, Newstalk 1010, National Post and many more. In February 2017, Mohamad was acknowledged before the Canadian Parliament by Prime Minister of Canada - Justin Trudeau - as an Exemplary Canadian Citizen and Businessman who successfully operated a Middle Eastern restaurant chain, and was applauded for his charitable work in January 2017 when he covered the funeral costs of six victims of a mass shooting at a Quebec City mosque. In his business affairs and community work, Mohamad is viewed as a Canadian of Lebanese birth who transcends and brings together people of all origins in a global workplace advancing our communities and helping each other to contribute to our societies. The Prime Minister of Canada –Justin Trudeau- as well as the Premier of Ontario, Canada and several City Mayors have all visited Paramount Restaurants in Ontario. Along with being named a finalist in the 2014 Ernst and Young Entrepreneur of the Year Award, Mohamad made the cover of Canadian Immigrant Magazine for both his business success and inspiring life story. In addition, The Globe and Mail titled Mr. Fakih one of Toronto’s “16 to watch in 2016”. The list, released in January included other notable Canadians such as John Tory, Mayor of Toronto and Alessia Cara (International Artist). Toronto Life Magazine named Mohamad Fakih as one of the Top 50 Most Influential People in 2017, including him in an affluent list of successful politicians, international businessmen, media and tech titans who are changing the world as we know it. 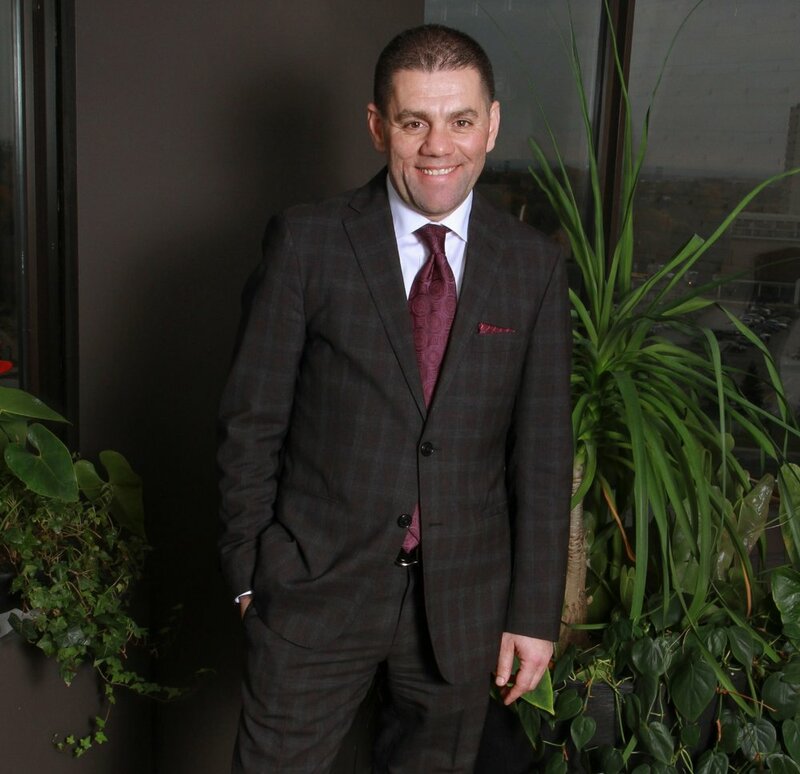 In 2018 Mohamad Fakih, Entrepreneur, Philanthropist and President of Paramount Fine Foods received an honorary Doctor of Law Degree, from Ryerson University in Toronto. Mohamad most recently received the prestigious 2018 Employer Award for Newcomer Employment from IRCC- Immigration, Refugees and Citizenship Canada. Mohamad is committed to revamping the traditional image of the Middle Eastern Restaurant industry by changing the way the cuisine is viewed and enjoyed. He believes that his hands-on approach to all aspects of his business ensures the Paramount model will sustain its growth and continue to provide jobs for Canadians including new immigrants globally as Paramount expands. Paramount currently employs over 2000 people across its 38 locations in Canada and 14 International locations, including gourmet butcher shops, food factories, the new Fresh East Middle Eastern sandwich franchise and its Toronto international corporate head office. The Paramount brand will have 63 locations by end of 2018 with new locations opening in Lebanon, the UK, New York state, US, Dubai and Pakistan. Paramount is proud to bring Halal Foods to the world after being the first halal restaurant to open at Terminals 1 and 3 at Toronto Pearson International Airport. Mohamad is a strategic and successful business leader who employs his skills, expertise and experience into expanding Paramount’s brand to pioneer the halal market globally and always give back to the community. He believes this can only be achieved by sharing his vision, knowledge and expertise with his management teams, franchisees in each country where he opens locations. Mohamad aims to continue the exponential growth of Paramount globally while continuing to promote excellent standards of food quality and service in Middle Eastern restaurants and to share the cuisine with diverse audiences. Appleton Estate’s Master Blender, Joy Spence, has the honour of being the first woman to hold the position of Master Blender in the spirits industry. In this role, Joy is responsible creating new rum blends. Simply put, it is Joy’s job to ensure that that all Appleton Estate rum blends meet the high standards that consumers have grown to love and expect. Over the last 20 years Joy has created some of the finest rums that the world has ever seen including Appleton Estate Reserve Blend and Appleton Estate Rare Blend 12 Year Old. According to Joy, to be a good blender you must be a sensory expert, have an artistic and creative flair, have a good understanding of the chemistry of the process, and have a passion for the art and pay attention to the details.